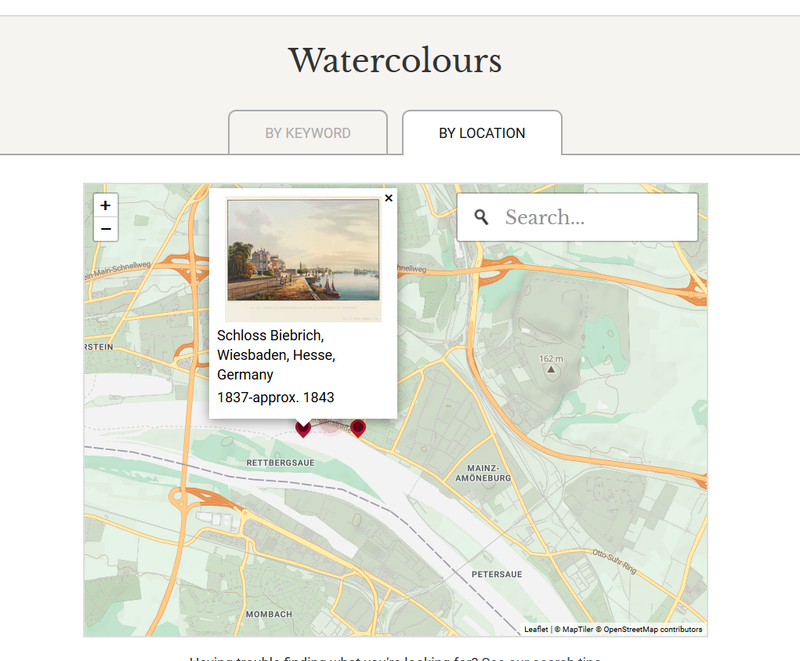 Thanks to Maps Mania, we are enjoying exploring this watercolour atlas of historic landscapes with the ability to compare them to their current coordinates—like this portrayal of nearby Schloss Biebrich, residence of the Grand Duke of Nassau, by French artist Aegidius Federle, known for his romanticised pastorals of the Rhein valley. I know that I’ve taken multiple pictures from that same vantage point—and who wouldn’t given the chance to frame that scene—and navigating by what’s picturesque and appealing makes me wonder about the monotony of holiday snap-shots and whether we are too harsh on imitation. 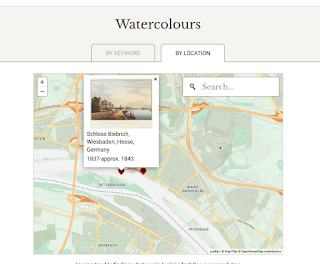 See if you can find something in your neighbour captured on canvas.